Kristen Mohamed - Pause in JOY! - It's been four years since all that, and my life has completely transformed. That is how I manifested Patti in my life. I was a mess, repressing memories from my childhood that were rotting me away internally and my relationships externally. I had reached a point where I knew that living was my only option, and that I had to make my life a place I liked living. I wept – really and truly WEPT. And for the first time in my life, I was able to talk about all the things I had never been able to find my voice to say. She saw through me, and saw my pain. Amanda Palmer says in her book “The Art Of Asking,” that being truly understood, and SEEN (not simply looked at) is our most important need as human beings.Patti saw me. She understood me in a way no one had ever even attempted to do so. She is on a whole different level, and I wish I could describe it better than that. I left that day feeling like a new person. Truly new, like I’d never felt before. And that day was where my journey began. It’s been four years since all that, and my life has completely transformed. Thanks to Patti, I am no longer simply a victim of my circumstances, nor am I a passive observer in my life. 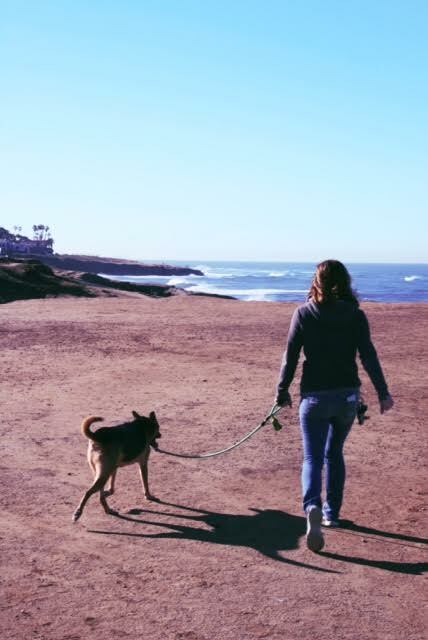 I have reminded myself of the power I’ve forgotten I had, and am certified for Reiki I and II now, and own a dog walking business in beautiful San Diego, as well as feeling empowered to pursue my passions, such as sailing, writing, and art. I have been slowly working towards a captain’s license and a BA in English. My relationships are strong and healthy, and my newly reclaimed self-worth draws wonderful people into my life. What’s more is that I am no longer content to simply pause in my OWN joy, but I feel compelled to share it with others, doing EFT and Reiki on people and pets alike.